And it’s the same power elite behind 9/11 who are forcing the deployment of 5G worldwide. How can the POTUS not know about the 5G national catastrophe?! Truly, folks, it does not get more serious than the nationwide deployment of 5G. President Trump has now stated — UNEQUIVOCALLY — that he’s fully supportive of the ongoing 5G roll-out. Please view the following video to apprehend his genuine enthusiasm for 5G technology and America’s pace-setting role for the world-at-large. 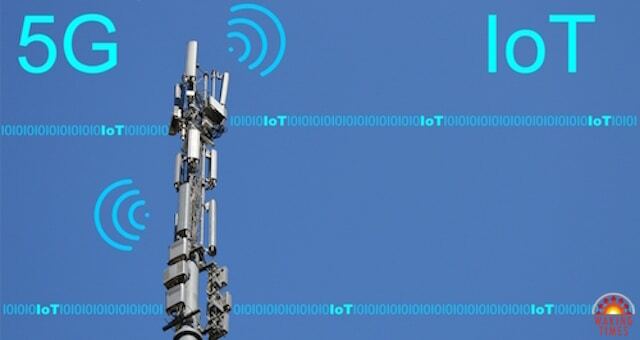 Now here’s a recent article that further elaborates Trump’s commitment to the 5G roll-out. The Powers That Be always see to it that every President of the United States of America has their own disastrous defining moment. W. Bush had 9/11. Obama had the BP Gulf oil spill. Trump has the 5G roll-out. Each of these national calamities has (and will have) far-reaching repercussions and dire consequences that reverberate to this very day. Although 5G has yet to be fully foisted on the American people, it’s already harming folks wherever it’s being deployed. 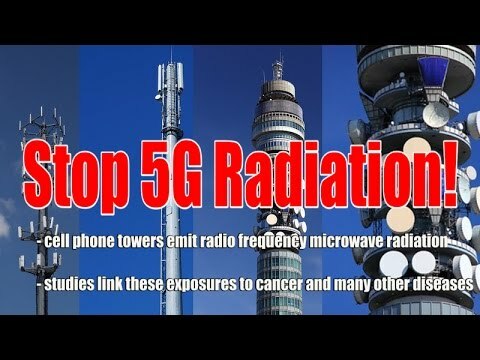 It’s of paramount importance for everyone to be aware of this factoid: 5G and the Internet of Things (IoT) represent the capstone of the New World Order agenda toward the establishment of a One World Government. In point of fact, the Internet of Things can only be fully operational when the 5G power grid is functioning at full tilt. The IoT is central to the globalist scheme to exert total command and control over every resident of Planet Earth. From one critical perspective, it’s not the universally feared “implanted chip” that is the prophesied “Mark of the Beast”, it’s the now ubiquitous smartphone. TPTB knew they could not force people everywhere to submit to chip implantation so they deceitfully tricked the global population into possessing a smartphone, which never leaves their person. Quite ingenious, yes? But also diabolical to the extreme. It’s getting impossible to do virtually anything these days without a smartphone … … … by purposeful design—DEMONIC DESIGN! 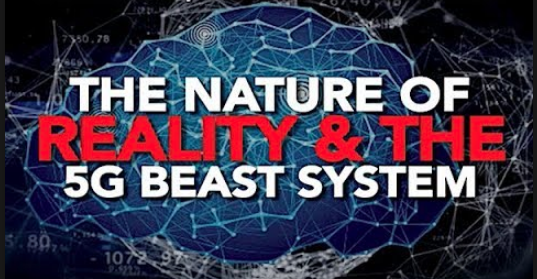 Hence, it’s crucial to comprehend the satanic nature of the rapidly manifesting paradigm defined by the Smartphone, 5G, and the Internet of Things. Not to do so will soon mean the difference between good health and chronic illness for many; life and death for the weak, especially the children and elderly as well as the immuno-suppressed and EMF-hypersensitives. Well, either we are all going collectively to hell in a handbasket, or we will somehow use this unfolding cataclysm as an opportunity to take back our country from those who have stolen it. Therefore, it’s imperative that the U.S. citizenry express their strongest intent to SHUT DOWN 5G POST HASTE. We are really at a pivotal moment of the American Republic. Either We the People terminate 5G … or 5G will terminate US. The body politic must coalesce around this urgent mission lest we lose this precious opportunity to save ourselves from those who will do us greater harm than anyone can imagine. Please understand that this dire matter has nothing to do with the differences between the Right and the Left; and that it has everything to do with Life and Death. If there is one issue that ought to unify the body politic as never before, it’s the immediate shutdown of 5G across the USA. As the President of the United States, Donald Trump’s primary responsibility is to protect the American people and safeguard the territories. The 5G roll-out does the opposite; it imperils every citizen and devastates the environment. Surely, the POTUS knows this; how can he not?! Even young schoolchildren are aware of the many safety issues associated with 4G. Parents are keeping the IT technology far away from their babies and children for fear of so many medical ailments and health conditions that are emerging more frequently. In view of these stark realities, Trump must be held to account. His base must wake up to the fact that their lives are much more important than a political position. This is how Trump can be compelled to reverse his ill-fated 5G decisions. For the simple reality is that Trump will not win 2020 if he continues to advocate for the deployment of 5G. And, the more he acts like a presidential cheerleader for the disastrous 5G roll-out, the more supporters will jump off the Trump train. The moment of truth has arrived! BOTTOM LINE: Not only does the fate of humanity hang in the balance with 5G, the viability of the entire biosphere is now at great risk. Therefore, Mr. President, you leave us no choice!